Our men’s group has been trekking through a classic book by Stephen Covey called The Seven Habits of Highly Effective People. I hope to share with you some principles I’ve been learning from the book. One that I think is particularly important is having a personal mission statement. This requires that you get to know yourself fairly intimately—what are your priorities, your values, your beliefs. These are all things that build and shape our character. Though the late Stephen Covey was a man of faith, the Seven Habits book is obviously written for a wider audience. I’m an evangelical and Covey was a mormon, so we don’t share all the same beliefs and views. But that doesn’t mean I should ignore what Covey has to say. He wrote the book for everyone—mormon, non-mormon, evangelical, non-evangelical, believer and unbeliever. God causes his rain to fall on everyone, and I believe this applies to life principles also. Whether you’re evangelical, mormon, or some other faith, it’s interesting how we become attracted to universal principles. Compliments of the God who also created gravity. Since my small group is made of evangelical men, I naturally wanted to take Covey’s language and express it from a different perspective. This led me to discover a book by Bill Hybels, called Simplify. And in his book he talks about ways to simplify, and he talks about life verses. So what is a life verse? Do you have one? 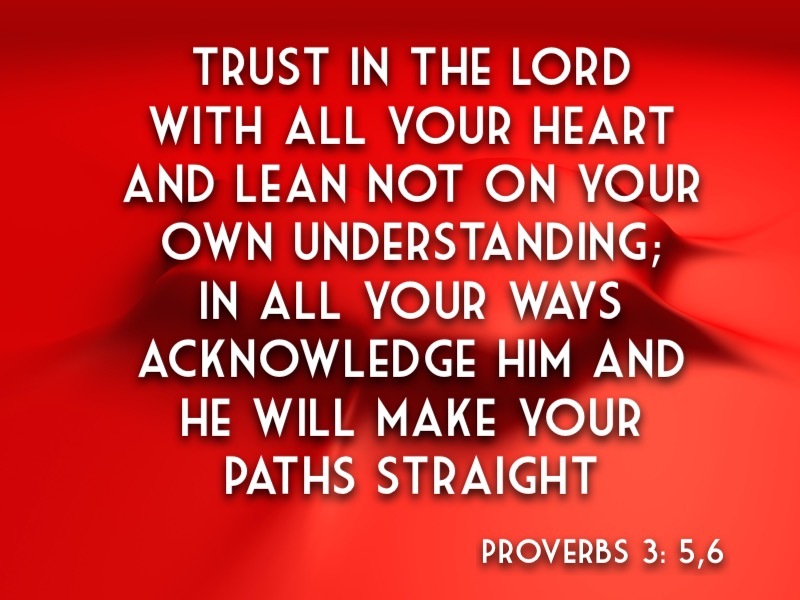 I point to Proverbs 3:5,6 as an important life verse for me. Bill Hybel’s life verse is 1 Corinthians 15:58 and he shares how this verse encourages him to be immovable and steadfast. I discussed this life-verse idea with another Christian friend, and he said, “Well, Scott, the whole Bible is my mission statement and they’re all life verses.” I told him that I understood, but secretly I don’t think he was getting my meaning. Like me, if you believe in God’s word, you weigh all scripture pretty heavily. I’m not saying that one verse takes precedence over all verses. But don’t we assign some parts of the Bible with more importance than other parts? How often do you think about or dwell on the Book of Numbers, for example? And don’t some verses summarize and/or clarify the meaning of all kinds of other Bible verses? Some verses define the mysteries of God better? I’m thinking New Testament. So having a life verse isn’t taking away from Scripture. No, what we’re talking about is finding focus and clarity. You can throw in the word simplify if you like. It could be a verse that, for whatever reason, keeps flooding your mind. Perhaps it’s a verse that embodies your unique life and style of living, with all your bents, talents, and ways of looking at life. It’s a verse you live by and take a stand on. It could be a verse that meets you in a season of life. And hopefully, it’s a verse that draws you into God’s mission and calling for you life. So God’s mission and my mission—what’s the difference? Well, as a believer, I want my mission under submission to God’s. I find His mission from meditating on his word, through the Holy Spirit, and through leaders and teachers God brings into my life. It means grappling with the person I used to be and embracing the person God has transformed me to be. And I’m moving–sometimes bouncing–somewhere in that transition. The life verse then becomes a lifeline. And if you write a personal mission statement, think of it as your way of making God’s purposes real and applicable to your life. We all have to find that personal connection with God, and express that in a way that means something unique to us. God’s mission may be specific, but you have unique, God-given talents and abilities to fulfill God’s mission. Don’t let that go to your head, but do let it resonate with your heart. I know that I run the risk of sounding like many other blogs and just throwing out another tool or technique. That’s not what I’m trying to do here. A Godly character is everything and to get there you have to focus through the noise and many distractions of this world. A life verse and a mission statement can help you do that. So tell me—what is your life verse? Mission statement? And if you want to go further, feel free to tell us why. If you don’t have either one, I challenge you to pray about it and think on it. Get to know yourself better. Get to know God. Find a way to focus. Trust God with the rest. This entry was posted in Spiritual Journey and tagged life verse, mission statement, trusting God. Bookmark the permalink.